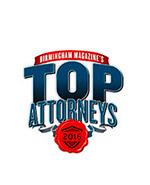 About Us | Birmingham AL | Shabani & Associates, P.C. The Shabani & Associates, P.C. 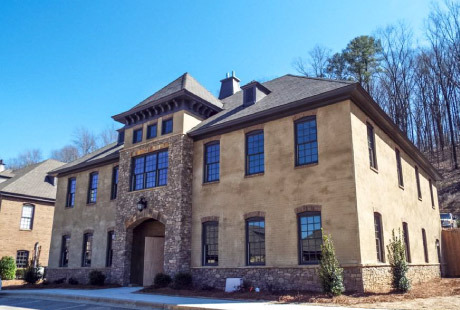 is a law office based in Birmingham Alabama that handles permanent residence, temporary work permits, criminal inadmissibility, and other U.S. immigration applications. We have a Nationwide Immigration Law Practice such as, Detention & Deportation, Immigration Court, Family Petition,Consular Processing, Waivers, US Citizenship, Work Visa, Employment & Labor Certification, Investment Visa, Labor Certification and Perm, Federal Court; WAVA, S, T, U Visa, Criminal Law; DUI, Family Law; Divorce; Lemon Law, Civil Practice; Automobile Accidents and Injuries; International and State Adoptions. Michael Shabani has extensive experience in all aspects of immigration law, practicularly H-1B, H-2, H-3, P, O, E-1, E-2, EB-5, K-1, F-1, L-1, R, U, T, L-1, B-1 & B-2 and other non-imigrant and immigrant visas for foriegn personnel, labor certification (Perm), family petitions, consular practice with Waivers of Hardship, Detention and Removal and asylum claims from various countries. 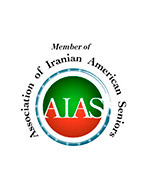 Mr. Shabani is a member of American Immigration lawyers Association and Association of Trial Lawyers of America. Mr. Shabani has been practicing Immigration law since 1997, and has clerked since 1991 for prominent immigration lawyers prior to his own practice. He has a formidable and sincere interest in the issues that are important in the field of law and he is blessed with ability to relate and interact with people from all walks of life. As one of most established Immigration law firms, Shabani & Associates, P.C. has earned a reputation both locally and nationaly for unequalled expertise and dependable counsel in virtually all areas of the Immigration Law. The firm’s Immigration Practice is uniquely positioned to provide a full range of U.S. Immigration Law services to our clients. Mr. Shabani’s clients base includes small businesses to Fortune 500 multinationals, as well as individulas and families requiring specialized immigration assistance. As a self-starter and an extremely self-motivated individual, he is well suited to handle high levels of responsibility. I invite you to explore his experiences and to observe the depth of education and training he has attained. Education: University of Alabama (1991); Birmingham School of Law (1995). Language: Farsi, Afghani, English and Spanish. Mr. Shabani is a member of American Immigration lawyers Association, American Bar Association, US District Court of Alabama, US Court of Appeal for the 11th Circuit, Association of Trial Lawyers of America, and Birmingham Bar Association. Mr. Shabani has been practicing Immigration law since 1997, and has clerked since 1991 for prominent immigration lawyers and judges prior to his own practice. Mr. Shabani has a formidable and sincere interest in the issues that are important in the field of law and he is blessed with ability to relate and interact with people from all walks of life. As a self-starter and an extremely self-motivated individual, Mr. Shabani is well suited to handle high levels of responsibility. The Shabani & Associates, P.C. handles permanent residence, temporary work permits, criminal inadmissibility, and other U.S. immigration applications. We have a Nationwide Immigration Law Practice such as, Detention & Deportation, Immigration Court, Family Petition, Waivers, US Citizenship, Work Visa, Employment & Labor Certification, Investment Visa, Family Law; Divorce; Civil Practice; Automobile Accidents and Injuries; International and State Adoptions.